Researchers have constructed a 226-year history of fire in southern Illinois by looking at fire scars in tree stumps. Their study, the most in-depth fire history reported for the upper Midwest, reveals that changes in the frequency of fires dating back to the time of early European settlement permanently altered the ecology of the region. The researchers took advantage of a 1996 timber harvest of old growth post oak trees in Hamilton County. McClain counted growth rings, fire scars and other distinguishing features of 36 of the old-growth post oak trees that had been cut. Luckily for the researchers, the fire-damaged trees had repeatedly healed, retaining their heartwood despite having been badly injured by numerous intense fires. McClain is an expert in the fire history of Illinois and surrounding states, having collected and published accounts of fires from numerous historical records. IMAGE: The researchers reconstructed the fire history of Hamilton County, Illinois, by examining fire scars and the growth rings of 36 old-growth trees. The new study, in the journal Castanea, confirms that the people who lived in Illinois before European settlers arrived were in the habit of setting fires in the region nearly every year, with fires in the Hamilton County woodland occurring at least every two or three years, McClain said. This repeated burning actually stabilized the prairies and open woodlands that dominated the region until the late 19th century, when the fire-suppression efforts of the new settlers allowed different plant species to take over, the researchers said. The researchers found evidence of more than 100 fires in Hamilton County between the 1770s and 1996, when the trees were cut down. Prior to 1850, the woodlands burned roughly every two years. A “fire-free” interval followed between 1850 and 1885, as settlers rapidly colonized the area and suppressed fires. Then in 1885, the fire scars appear again, probably as a result of the localized burning of woodlots, which was a tradition in the region in the late 1800s and early 1900s, the researchers said. “These smaller, less intense fires were probably started to enhance forage quality for livestock, improve visibility for hunting and to reduce the amount of flammable material in the underbrush,” Spyreas said. But by that time the previously “open woodlands,” with limited shade and even a few prairie plants growing in the understory had become a dense forest with lots of shade. The shade-intolerant post oaks could not compete with fast-growing, shade-loving species, which until 1850 had been kept in check by the frequent fires. After the brief period of fire suppression, only established post oaks could survive as other tree species closed in around them; the shade was already too dense for post oak seedlings to survive. To reach Greg Spyreas, call 217-819-2059; e-mail spyreas@illinois.edu. To reach Bill McClain, call 217-854-7918; e-mail trailmarkertree@gmail.com. The paper, “Fire History of a Post Oak (Quercus stellata Wang.) 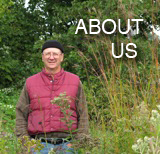 Woodland in Hamilton County, Illinois,” is available online or from the U. of I. News Bureau. chicagoparkdistrict | November 3, 2010 | The Burnham Centennial Prairie restoration project is underway combining the art of implementation with the science of restoration to provide a flourishing habitat that the city will enjoy in the years to come. LCFPD | October 27, 2010 | Many of the plants used in Lake County Forest Preserves restoration efforts get their start in the Native Seed Nursery at Rollins Savanna (Grayslake). Volunteers are critical to the work, establishing plants by weeding, mulching, and seed collecting. Explore current LCFPD volunteer opportunities at lcfpd.org/volunteer. kjdmac1957 | September 20, 2010 | Take a guided tour of the native plants in Washington Park, Chicago, Illinois. Tour took place on August 7, 2010. Here is a link to exceptionally interesting news story from WXOW-TV La Crosse, Wis. Note: the plants shown in the news footage do not correlate with the invasive species named. 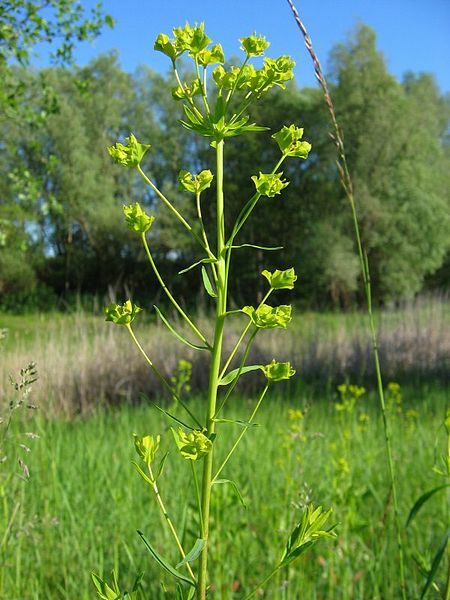 For the record, the plant shown above is the non-native, invasive Leafy Spurge (Euphorbia esula).